I never thought I’d see another day when North America would get two Tales releases in one year. 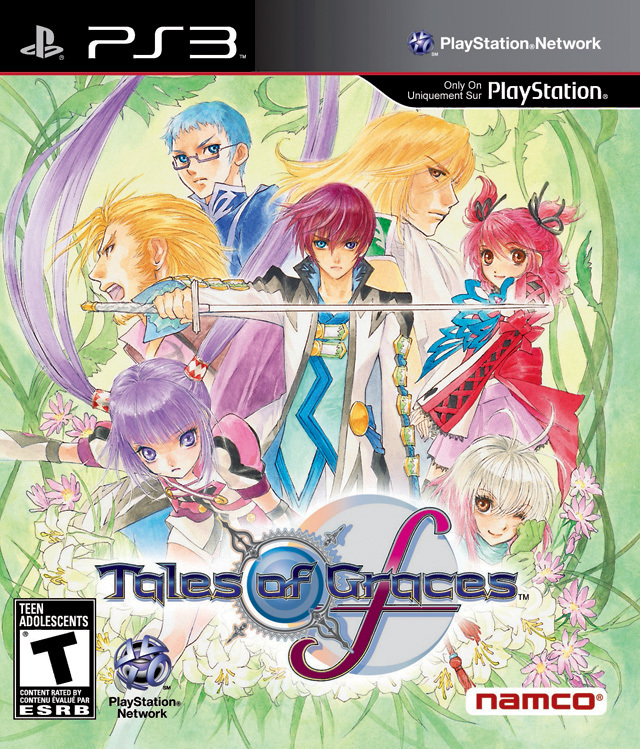 Last month brought us the 3DS port of Tales of the Abyss, and now we have the PS3 update of Tales of Graces. I couldn’t be more excited if I tried. The Tales series is fascinating to me, if for no other reason than because it has no business being as fun as it is. The story and characters are generally very cliché and the combat doesn’t evolve much from one iteration to the next. Still, I’ve always found each one to be a charming adventure, and the hectic battles keep my attention throughout the often lengthy entirety of each game. It’s my guilty pleasure if there ever was one. So when Tales of Graces was announced to be in development for the Wii console, I was very much looking forward to its inevitable release. 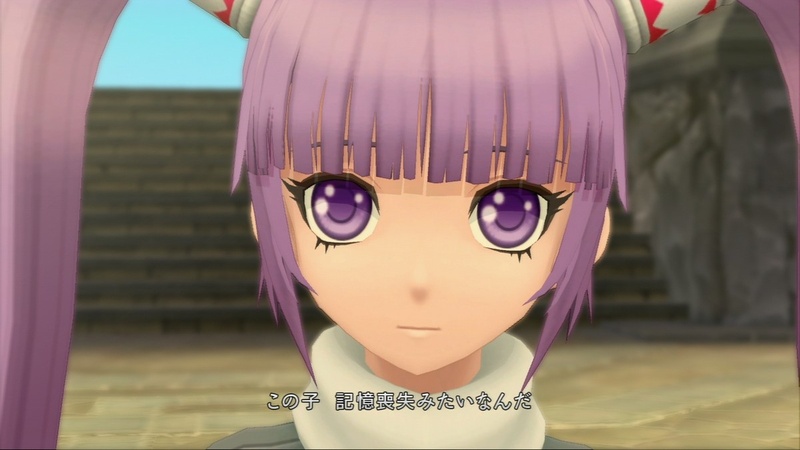 After all, we got Vesperia on the Xbox 360 and Graces is releasing on a console with a larger installed base, so why wouldn’t we get it? Yet, we never did. When word of the PS3 version made its rounds, I occasionally visited the Namco Bandai official website, the official Tales website, and the Facebook pages for both. Naturally, the fans were clamoring for something they could look forward to, whether it be the Vesperia PS3 version or any of the DS releases that never made it out over here. It wasn’t until a teaser page revealed a glimmer of hope, leaving fans a scrambled image in order to uncover the mystery it contained. 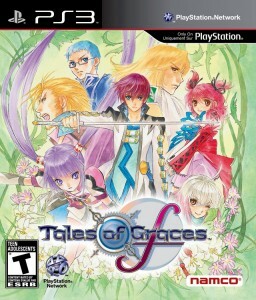 The mystery was that Tales of Graces f was finally getting localized. It’s been over two years since the original Wii release, and now it’s finally here. But is it everything the fans were wanting and more? 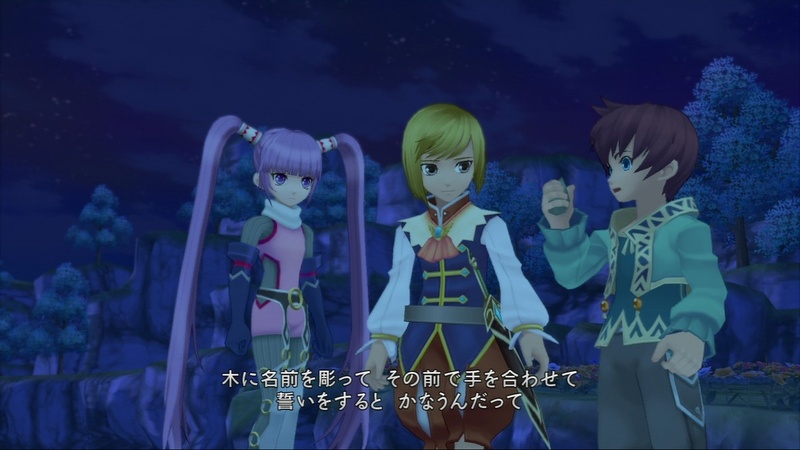 The story of Tales of Graces f begins when Asbel and his little brother Hubert encounter a strange girl in an off-limits meadow not too far from where they live. The girl doesn’t remember who she is, where she is from, or what she was even doing there in the first place. Not ones to leave someone alone in a dangerous environment, the boys name her Sophie and decide to take her home with them to see if perhaps they might run into someone who knows her. They eventually meet with Richard, the prince of Windor, whom they quickly befriend, even making a friendship pact with him. In the few hours that follow, a series of events take place that would affect their lives forever, though they will never forget the bonds they formed as children. The moment the game started I knew I had been through this same song and dance before, even in this same series. 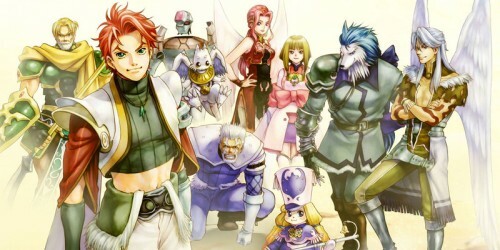 The mysterious girl, Sophie, reminded me a lot of Meredy from Tales of Eternia. They even bear a slight resemblance, though their mannerisms are quite a bit different. Not only that, but the amnesia bit has been done as recently as Tales of the Abyss. The rest of the cast is rounded out by your classic JRPG tropes: the eccentric individual that knows everything about technology, the “old”Â man providing wisdom that’s actually just a middle-aged guy, the love interest that doesn’t know how to express her feelings to the main character, etc. Many of the major plot points I could smell coming a mile away even without the foreshadowing. So imagine my surprise when I found myself still enjoying the whole experience. Since I got to see what a number of the main characters were like as children, I had already built up a great deal of empathy for them, despite how they may have turned out as adults. The character interactions were also quite humorous, especially Pascal with her infatuation with wanting to touch Sophie and her insane level of enthusiasm for everything that she does. It may have been just another “save the world”Â adventure with a heavy dose of “friendship conquers all.”Â But I liked it enough that I would experience it all again. It’s hard to tell that Tales of Graces was once a Wii game, though it’s still a bit lacking in comparison to its predecessor, Tales of Vesperia. Don’t get me wrong, it’s a huge improvement and the upscaling was a success. The cel-shaded visuals bring to life the vibrant colors in the game, and the various facial animations that the characters display are generally very good. It’s just that Graces f doesn’t bring to the table some of the more impressive visual effects capable of the current generation of hardware, and many of the landscapes you do battle on are generally on the bland side. The character designs are fine enough, even though the choice in clothing is questionable. I think the developers know that though, as this very subject is brought up during the game in several bouts of self-ridicule (such as why Asbel wears all white and how Cheria’s skirt is super short). You can unlock new costumes, if you wish, as well as ornaments you can adorn your characters with. For the anime fans out there, several animated sequences are dispersed throughout the game that look great in HD as well. Once you finish the game, you can even watch the ones you’ve seen at your leisure. Much like the other games in the series, the battle music changes itself up throughout the course of the adventure, but none of it really endeared itself to me too much. It’s a shame too, because the rest of the compositions are generally well done. Fortunately, I didn’t find it at all bothersome, since the sounds of combat tend to take over the speakers when in battle. Namco Bandai found themselves a good cast to do the voices, as they all seemed to fit well with their characters. Even Sophie, who is generally monotone and devoid of all emotion, sounds believable within the context of her character. 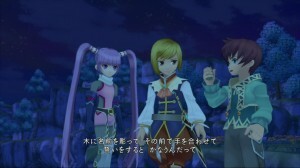 Skits, a staple of the Tales franchise, have made their return. They are less frequent than they were in Tales of the Abyss, though they are all voice acted this time around. Tales of Graces f has what is probably the biggest overhaul the series has seen in a long time in terms of the way battles play out. When you make contact with enemies in the field, you still switch to a separate screen to fight, though the camera tries to fix itself above and behind your character more rather than the side. The game advertises that every character has two fighting styles, though the reality of it is that you will still alternate between them to make combos much like you did in previous Tales games. X button is your Assault Artes and circle is your Burst Artes. Your A. Artes are all you start the game out with at first, which made the opening hours very jarring for me. They are laid out on a skill tree of sorts, and depending on the direction you hold while you hit them, you may end up with a different move, and subsequently, a different combo. Your B. Artes are learned skills that you can map to your circle button depending on the direction you hit with it. Both of these actions use Chain Capacity points, or CC, when used. The number of CC you have at your disposal varies depending on your equipment, though it will recharge while you are not performing any actions or are guarding with square. This means that you cannot just endlessly button mash the same attacks, as you will be left unable to perform any actions for a time. The idea is to use attacks that exploit your enemies’ weaknesses so that you may be awarded with bonus CC and can keep swinging away. While you generally only move back and forth in relation to your targeted enemy, you can use L2 to free roam the entire map. Doing so causes your CC to slowly drain for the duration you are doing this, though. Holding down square to block and then pressing a direction will allow you to sidestep around them, which is incredibly useful for evasion, though it too costs CC. The R1 button will pull up a list of enemy weaknesses and current HP of that enemy so you always have a pretty good idea of where you stand and what techniques you should focus on. On the left side is a bar called an Eleth Gauge that will charge both blue and red as you trade hits with the enemy. 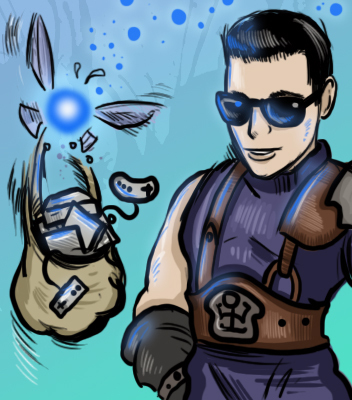 Filling it completely blue triggers an Eleth Burst that allows you to use your Artes without using up CC. Holding L1 during a combo will unleash your characters’ Mystic Arte, which is another way of saying you lay a cinematic smackdown on any foe unlucky enough to be caught in your path. If the gauge ever fills completely red, then the enemies get the same benefits. I was disappointed that this gauge couldn’t be preserved for boss fights rather than activate unnecessarily during random battles, but most boss fights would drag out long enough that it would happen anyway. The triangle button will pull up a menu that allows you to disperse items, change up your Artes, or switch out the strategies used by your computer controlled allies. If you don’t trust the A.I. to suit your needs, you can always have a friend or three help you out. Up to four players can take control of a character in battle, though this can only be done locally. While it’s good fun and helps immensely on some of the trickier boss encounters, it’s tough to recommend the game exclusively for this mode, since all players save for player one have to sit out during all aspects of the game except for the battles. Not to mention, you have to play for a number of hours before you even get a four person party together in the first place. Titles play a much more prominent role in Tales of Graces f than they did in previous games. Each character can equip a title (of which there are over one hundred) that has a skill or stat boost tied to a five star rating. As you earn SP in battle, you will earn more stars in that title, which in turn leads to more skills for your character. Skills learned will carry over to the next title that you select, and you can program it to automatically switch titles after earning so many stars. It reminded me a lot of Final Fantasy V‘s job system in a way, which I thought was great. While there are no Wonder Chefs this time around, you do get an Eleth Mixer. This mixer allows you to do a number of things depending on what you put in it. If you set an item like an Apple Gel in it, for instance, there’s a random chance that it will randomly create an Apple Gel for you. If you put a book or recipe for a particular food item in there, it will have effects on your party based on whatever criteria is put in place by those items. 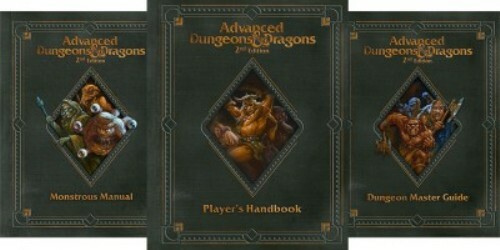 Certain dishes may automatically resurrect party members should one fall, while a book may reduce your party’s damage by half. Every time one of these things in the mixer triggers, it uses up Eleth, which has to be recharged at a shop or an inn. The more you use it, though, the more Eleth and items it will eventually contain. It’s a small addition to the game, but incredibly useful. Cooking and equipment acquisition is all lumped into a concept called Dualizing. This involves joining two items together and making a new one. Whether it be taking two food items and creating a new dish, or perhaps combining monster drops into something to sell later. It can also be used on your weapons and armor to attach items that add various effects such as HP regeneration or poison resistance. If you dualize your equipment in this way, sometimes you’ll end up with a whole new piece of equipment. In other instances, if you use the dualized equipment enough in battle, it will “temper”Â and can be dualized again. Dualizing two pieces of tempered equipment generates a gem containing aspects of both items it came from, and can be dualized yet again. It’s a rather deep system if you spend some time with it, yet is not so complex as to be overwhelming. If you’re just looking to get through the main story, you’re looking at about 30-40 hours if you do minimal sidequests. When you do beat the game, there’s a Lineage & Legacies mode that gets added to the menu that acts as a sort of playable epilogue to the game. This mode will last you another ten hours or so. This is all on top of the sidequests, titles, and collectible cards featuring previous Tales characters that can be found all over the world. 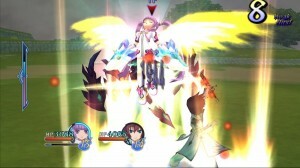 You also have the ability to participate in a Tales of Trials mode that will load up one of your saved games and pit your characters against different scenarios of enemies. Upon victory, you can upload your score to a leaderboard and take back any items that you may have won from the battle. If you feel like playing the main game again, there’s the now standard New Game Plus that will let you power through the game with your strengthened characters in case there was anything you missed the first time through. If it’s one thing Tales games have never been accused of, it’s being too short. 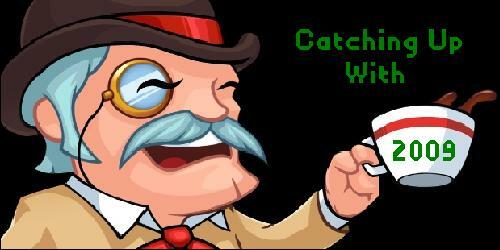 If you decide to partake in everything the game has to offer, you will get your money’s worth. 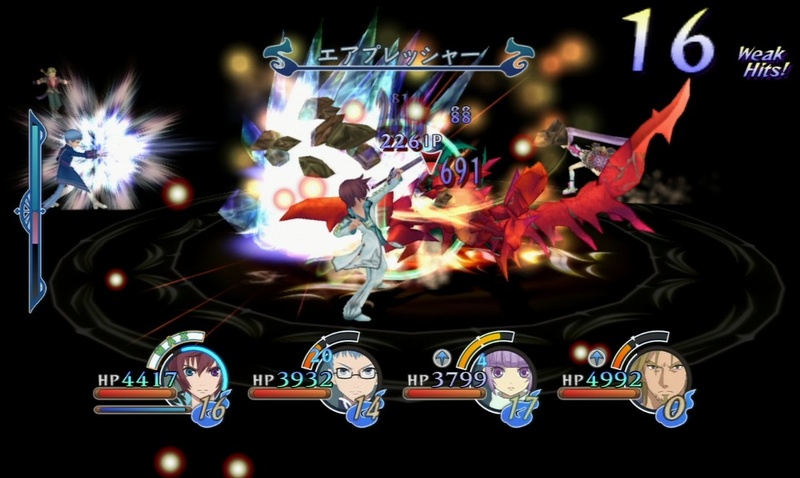 Coming fresh off of Tales of the Abyss, I was a bit taken aback by the challenge in this game. The fact that you don’t have to stockpile Orange Gels and items to combat every individual status effect known to man made me think that dungeon crawling was going to be a cinch. It wasn’t. While there is a large assortment of difficulty settings to suit your needs, I felt even the normal difficulty presented a suitable challenge. Boss battles and regular enemies alike gave me a run for my money in the endgame, though this is balanced out by the fact that you can instantly retry a battle should you fail. This was nice, as some save points are spaced out quite a ways apart and an untimely death could send you back a long way if you had to restart from there. I’m not sure why save points are still necessary at this point, as even Final Fantasy XIII-2 has managed to adapt to an autosave approach. Just be mindful that you may have to play this game for long chunks at a time, particularly once you get closer to the end. While the battle system may have seen a big change with the new Chain Capacity system (even though it was used in the Tales of Destiny remake, which we never got in North America), the rest of the game follows the same pattern as other entries of the series. Do you know how the plot development breaks down in this one? If you said “A group of teenagers try to tackle a minor problem that turns into a struggle for the fate of the entire world,”Â then you guessed correctly. Tales of Graces is the 12th entry in the main series and very little has changed since Phantasia. Yet, it is still a joy to play. I guess you could say that Tales games are the comfort food of JRPG’s. They are predictable and cliché, but they are a blast to play. There aren’t too many other games out there that have tried to mimic the combat either, save for the Star Ocean franchise, which shares similar roots. As long as you know what you’re getting into, the lack of innovation won’t phase you. It really speaks to the strength of your franchise when I can play two games back to back for 40 hours a piece and not want to vomit all over. Quite the contrary, I found the battles to be as enjoyable as they ever were and even though the story was predictable, I still wanted to see it through to the end. There is a bunch of backtracking that has to be done near the beginning of the game, though it at least makes sense in the context of the story. Luckily, most dungeons will provide a teleporter that will instantly warp you out once you’ve accomplished your goal in that area, which helps trim some hours. There are also Turtlez Transports that can instantly ferry you around various towns until you gain the ability to fly anywhere you want. The interesting thing to note is the world map doesn’t function in the same way as other games. It has more in common with Final Fantasy X, as each area is interconnected with each other rather than having one big overworld where each individual town and dungeon is accessed. There are still hidden areas to be discovered, so if you’re worried about the lack of exploration, you probably won’t notice. I just think that the choice of aesthetic is interesting to me. Tales fans are going to like this game, there’s absolutely no question about that. As for everyone else, it really depends on how much you like the tried and true JRPG formula. The PS3 hasn’t seen nearly as many as previous generations of consoles have, though there have been a growing number of them over the past few years. 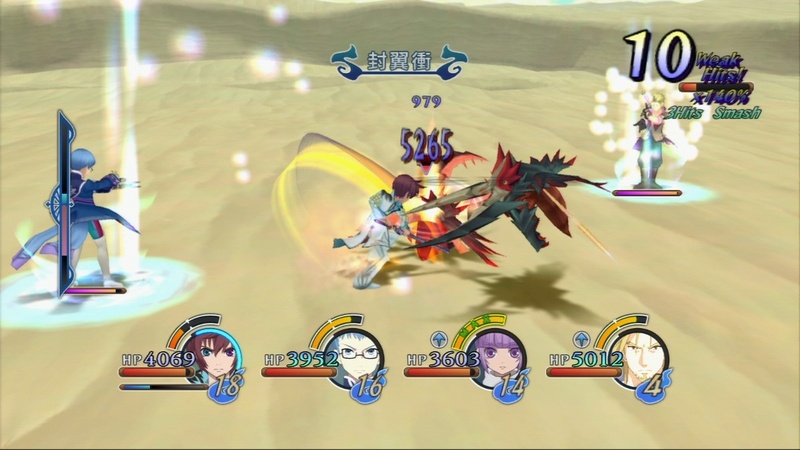 Companies like Atlus and NIS have managed to adapt to the HD area with their respective franchises, so it was only a matter of time before Tales made that leap as well. It relies heavily on established genre habits and character tropes, but so as long as you are okay with this, Tales of Graces f should be right up your alley. If you’re one who is tired of the way JRPG’s have handled themselves over the last decade or so, then it likely won’t be what you’re looking for. When you beat the game, there’s an Extras option that gets added to your main menu. Aside from the new epilogue, you also have the option to visit a museum of sorts where you can view all previous anime clips and skits that were viewed during the game. I praise this addition highly, as the anime sequences especially are very well done, and it would’ve been a bit redundant to have to create save points right before each one I wanted to see again (outside of looking on Youtube, of course). As with Abyss, I’m a little disappointed with the manual that came with Tales of Graces f. The English portion of it only goes up to page 8, and that’s only if you count the cover itself. It’s not as bad as say, Mass Effect 3, that doesn’t have a manual at all, but I’m actually one of those individuals that reads those things. In fact, this would’ve been a good candidate for a collector’s edition, especially with how sought after the Tales of Vesperia one is on the Xbox 360. Oh well. 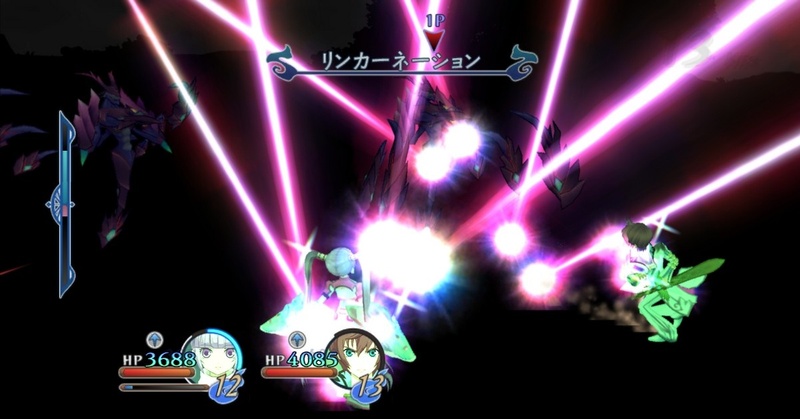 We got 3 Tales games in 2006: Legendia, Abyss, and Phantasia. Nice review, and I don’t even comment on reviews too often. Think we’ll get Xillia? Thanks! I think it all depends on how well Graces sells. I know Abyss sold out of its initial stock in most places, so I’m optimistic that Graces will do the same since it’s not a port of a version that’s already out in North America.